So you’ve just got engaged (congratulations! ), you’ve planned the wedding and found the dress, and now it’s time to start thinking about the honeymoon. If there’s ever a good time to go all out and really splash out on a trip it’s your honeymoon, so make the most of this opportunity! As surfers we’ve got it pretty easy compared to most other sports. Imagine if you were a caver: suggest a honeymoon slithering through dark, damp and muddy holes in somewhere like Wales and divorce will follow as inevitably as an exaggerated claim follows Medina exiting the barrel. Luckily for us, romance and secluded beaches on remote tropical islands often go hand in hand with great surf destinations. The experts at LUEX Surf Travel are on hand with all the advice you need to plan your dream honeymoon: whether you’re one half of a surfing power couple or your newly beloved doesn’t know their bottom turn from their backside, there are plenty of incredible surf destinations that tick all the necessary boxes and will ensure an unforgettable honeymoon – and trip of a lifetime – for both of you. There are a few absolute essentials when planning any honeymoon: romance, privacy and a touch of adventure. Your tastes might run to sumptuous ultimate luxury or shoestring adventure, relaxed and familiar surroundings or exotic and wild, lazy and chilled out or crazy and action-packed, but these three ingredients are a necessity for a successful honeymoon. That still leaves a pretty broad range of possibilities though, so let’s start to narrow it down a bit. Timing is important. When is the surf season? What’s the weather like then? Yes Portugal gets the most swell in the winter, but you might be disappointed if you hope to sunbathe on the beach all day. Sure Bali can get good – and uncrowded – waves during the off season, but are you prepared to deal with the frequent rain? Idyllic Indian Ocean islands like the Maldives are a quintessential honeymoon destination for very good reason, but they’re not perfect for everyone: depending on where you’re travelling from flights can be long, and once you’ve landed at the main international airport in Male you can still have quite a trip by boat or seaplane to reach your final destination. If you have less time then it makes sense to spend less of it on the road, and more enjoying yourselves. If you’re within easy reach of Bali then it can be a great option: you can be sipping cocktails overlooking Uluwatu within an hour of touching down in Denpasar. Similarly the Canaries are easy to reach from much of Europe, while from America there are many options in El Salvador with relatively short transfers from the airport. If budget is unlimited, the world is your oyster: there are absolutely incredible 5* luxury boutique resorts and glamorous yachts available in all the most fabulous hidden corners of the world. Things are a little trickier if money is tight, but that doesn’t mean you have to settle for an average honeymoon close to home! If you book early you’d be surprised how little flights to exciting destinations like Sri Lanka actually cost, and once on the ground prices are a fraction of what you’d pay at home! While a 5* hotel doesn’t come cheap, romantic accommodation doesn’t have to cost the earth either: there are plenty of gorgeous little eco guesthouses tucked away around the world! Accommodation is one of the key elements of a successful honeymoon though, so you really do have to find the right place. Would you prefer a boutique retreat on a remote island, a luxurious no-expense-spared resort, a quiet beach house, or even a yacht? Do you just want to relax on the beach and surf all day, or do you want something more exotic and exciting, with wild culture and incredible sights? Remote islands are undoubtedly beautiful, but they can be a bit lacking on the culture front. In contrast Sri Lanka is like a whole new world with so much to do besides surf, and the crazy sounds and smells of Marrakech are a tempting distraction from the surf breaks in Morocco. Are you happy to look after yourselves and do your own thing, or would you like surf lessons and guiding? How about boat trips to nearby breaks, or snorkel and water sports equipment to hire? Is your accommodation easy to get to on public transport, or will you need transfers arranged? Would you like to take yoga classes, or learn how to fish? How about a photography service to record lasting memories, or a seaplane flight? There are so many extra services to think about that it can be quite confusing, but sometimes it’s the little extras that really make the trip! There’s a reason why the Maldives are such a popular honeymoon spot: they are quite simply paradise on earth. Coral atolls rise out the warm and crystal clear Indian Ocean, ringed by gorgeous sandy beaches. The waves are very high quality, but tend to be fun and playful rather than too heavy. The biggest swells and most consistent surf is from May to October, though you can find great waves all year round. Our top pick for honeymooners in the Maldives is PER AQUUM Niyama, an incredible 5++ star resort on a remote atoll. With a fresh modern design and facilities like an underwater nightclub, Niyama is sure to be a hit with your partner! There are a choice of breaks just a couple of minutes from the resort, and due to the remote location crowds are at an absolute minimum – so no wasted time floating around in the lineup when you could be riding waves or spending time together. The Mentawais need no introduction to surfers: this incredible island chain is home to some of the most impossibly perfect waves on the planet. What might surprise you, though, is how well they can work for a honeymoon! The Mentawais Islands are very remote, which means privacy is very easy to come by – you’re not going to find hordes of screaming kids here. There are all manner of luxury resorts and quiet retreats in various corners of the archipelago, but secluded beaches and romantic sunsets are common to all of them. The optimum surf season is considered to be from March to November when long distance swells created by the Roaring Forties arrive from Antarctica. However, the region has consistent warm water surf all year, and wide open swell windows to pick up anything the Indian Ocean chooses to throw at it. Togat Nusa is one of the best spots for honeymooners in the Mentawais. It’s an incredibly relaxed retreat from the rest of the world, and as just 6 guests stay on the island at a time, privacy is guaranteed. It’s not the most lively place, but if you’re seeking a quiet sanctuary to spend quality time together, surf incredible waves, and practise yoga on the beach, it’s hard to beat. The food is all locally sourced and freshly prepared, and there are a range of extra activities to enjoy like snorkelling, fishing, and the opportunity to visit a local village. For honeymooners on a tight budget The Green Rooms at just $17 pp/night are almost impossible to beat! You stay in one of just four cute bungalows right on the beach, so peace and quiet is guaranteed; the surrounding palm trees offer additional privacy too. In the morning you can surf right in front of your bungalow, or head further afield to explore somewhere new. The surf in Central America is spectacular too, with a diverse choice of wave type and the opportunity to choose between two distinctly different bodies of water – the Pacific Ocean and the Caribbean. You can surf mellow fun waves right through to shallow sucky reefs all year round, in board short warm water. Costa Rica’s Pacific coast offers a range of beach breaks, river-mouths, points, reefs and outer reefs, typified by off-shores in the morning. The largest swells arrive during the gentle monsoon season of May to November, while December to April is dry season (and called summer even though it is in the Northern Hemisphere) and typified by smaller NW swells. One brilliant honeymoon option in Central America is Dreamsea Surf Camp in Costa Rica. 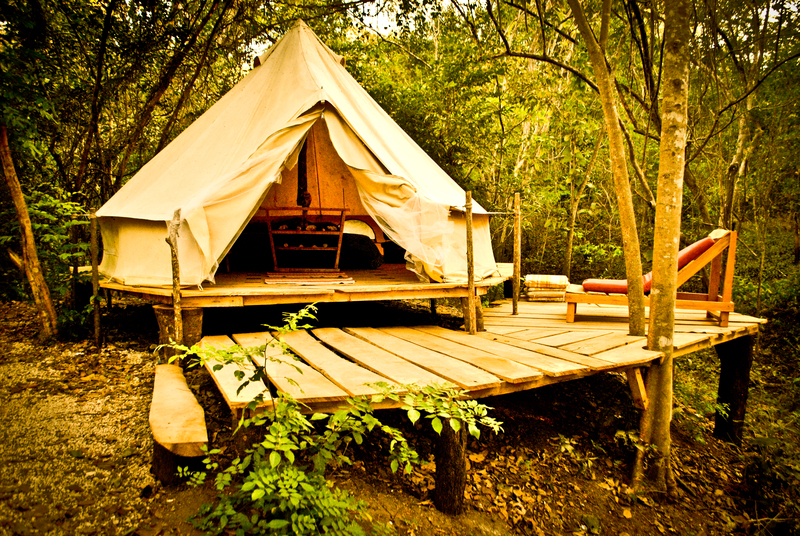 Located in the magical jungles of Tamarindo in the Guanacaste region, the accommodation at Dreamsea Surf Camp is in tents, but far from ordinary tents: we’re talking full scale ‘glamping’ here. If you typically associate camping with roughing it then Dreamsea Surf Camp’s experience is going to make you redefine your ideas. 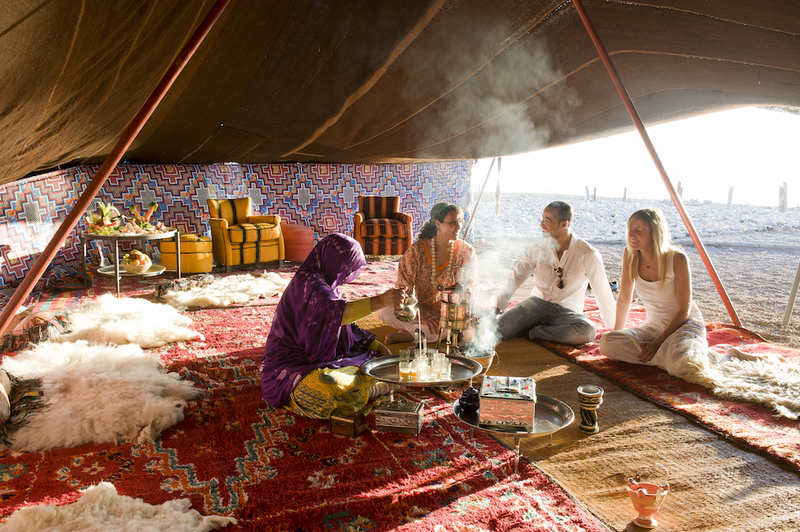 The tents are gorgeous and very well appointed, perfectly combining natural living and a real connection with nature with a high-end luxury. Paradis Plage Resort is the ultimate surf honeymoon destination in Morocco: it’s a 30,000 sqm oasis of sumptuous luxury, with sophisticated yoga and spa facilities, plus an in house team of surf instructors. You can customise your package to build your dream trip, and choose from private suites to whole villas to ensure romantic time alone with your partner. More honeymoon surf tips and destination ideas available on LUEX Magazine. That is the finish of this write-up. Right here you will discover some web pages that we think youll value, just click the links.